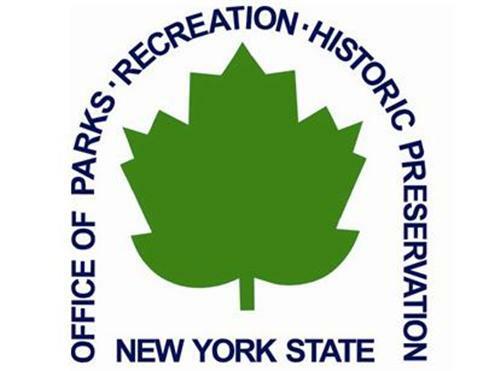 The Saratoga/Capital District Region of New York State Parks is hosting 50 all new geocaches in 16 state parks and historic sites, and will hold a drawing for prizes for those participants who successfully complete the geocache challenge by finding any 35 of the 50 geocaches. For more than 125 years, the U.S. Geological Survey (USGS), the largest producer of printed topographic maps, has portrayed the complex geography of the nation. Prior to 2009, USGS topographic maps were created using traditional cartographic methods and printed using the lithographic printing process. Now the USGS National Geospatial Program (NGP) is nearing completion of the conversion of these these historical printed topographic quadrangles to an electronic format (GeoPDF). 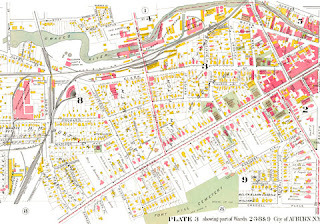 The scanning and processing effort serves the dual purpose of creating a master catalog and digital archive copies of the irreplaceable collection of topographic maps in the USGS Reston Map Library, as well as making the maps available for viewing and download online. USGS has digitized nearly 200,000 maps, including its collection for the contiguous United States and Hawaii. Remaining maps for Alaska, Puerto Rico, the Virgin Islands, and Trust Territories are expected to become available in the coming months.Check out the collection online. Local historical societies and municipal historians fill an important role of building awareness and appreciation of their community’s resources, which they often achieve by producing unguided walking and driving tours of local points of interest. By recognizing these points of interest and inviting others to share their appreciation, we can often encourage local historical homeowners to keep a neat garden or persuade local cemetery managers to tidy up. 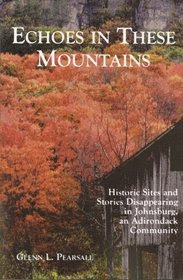 Glenn L. Pearsall’s Echoes in these Mountains, is subtitled &#8220Historic Sites and Stories Disappearing in Johnsburg, an Adirondack Community,&#8221 but thanks to Pearsall, a tireless advocate for local history, those historic sites and stories are being remembered. The geography of Johnsburg, the largest township in New York State, is central to Echoes in these Mountains. The book is arranged in chapters highlighting various historic sites, all with handy maps to help locate them on the landscape. That approach &#8211 locating historical stories around town on the landscape &#8211 is part of what drives Pearsall’s personal exploration of his town’s history, and what led to the answer to an interesting historical question. In 2006, as Pearsall began writing Echoes in these Mountains he set out to confirm long-held local oral history that Mathew Brady was born in Johnsburg and lived there until heading off to become, after his death, the most famous photographer of Civil War. (Brady’s photograph of Abraham Lincoln appears on the $5 bill &#8211 both the old and new designs). From Brady’s personal letters historians had long known that he was born and spent his youth north of Lake George. Pearsall confirmed through vital records and census schedules that Brady had in fact grown up in Johnsburg, off the old road that went from the Glen to Wevertown (now the straightened Route 28). Bushwacking the old road near Gage Mountain, which now crosses private property, Pearsall found the remains of the homestead. The story is illustrative of the trove of historical sites in Adirondack small towns, some yet hidden, some in plain sight. Echoes in these Mountains brings those in Johnsburg to life again. The book is handy as well. GPS locations of each of the book’s 55 historic sites are included in addition to the maps, along with a driving tour. At more than 400 pages, this local history is comprehensive, and well footnoted, though disappointingly lacking an index when would make it all the more important a as reference work. But that’s a minor complaint considering the depth and breadth of Pearsall’s effort. It’s among the most important references to Johnsburg’s local history and an outstanding small study of one Adirondack community. The first comprehensive exhibition to trace one of the most defining achievements in New York City’s history—the vision, planning, and implementation of Manhattan’s iconic grid system—will be on view at the Museum of the City of New York from December 5, 2011, through April 15, 2012. The Greatest Grid: The Master Plan for Manhattan, 1811—2011 will document the development of the “Commissioners’ Plan,” which in 1811 specified numbered streets and avenues outlining equal rectangular blocks ranging from (today’s) Houston Street to 155th Street and from First Avenue to Twelfth Avenue. The exhibition, which is organized on the occasion of the bicentennial of the plan, will elucidate, through maps, photographs, and other historic documents, this monumental infrastructure project—the city’s first such civic endeavor—which transformed New York throughout the 19th century and laid the foundation for its distinctive character. Some 225 artifacts will be on view in the exhibition, which is organized chronologically and geographically, leading visitors from 17th-century, pre-grid New York through the planning process and the explicit 1811 Commissioners’ Plan, and from the massive and elaborate implementation of the plan to contemporary reflections on New York and visions for its future. Other colorful figures will be highlighted, including William M. “Boss” Tweed, who implemented high-quality improvements, advanced services, and pushed forward many amenities while at the same time benefitting his associates. Other rare and exquisitely detailed maps dating from 1776 to the present will be on view, alongside stunning archival photographs portraying the island of Manhattan throughout various stages of excavation. 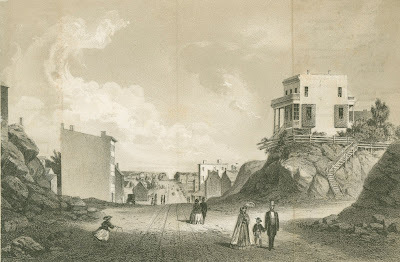 An extraordinary street-by-street explanation of the plan in the words of the commissioners—Gouverneur Morris, Simeon De Witt, and John Rutherfurd—will be on view as will other historic documents, plans, prints, and more. The Greatest Grid will reframe ideas about New York, revealing the plan to be much more than a layout of streets and avenues. The grid provided a framework that balanced public order with private initiative. It predetermined the placement of the city’s infrastructure, including transportation services, the delivery of electricity and water, and most other interactions. Manhattan’s grid has provided a remarkably flexible framework for growth and change. The Greatest Grid is co-sponsored by the Manhattan Borough President’s Office. The exhibition is accompanied by a companion book of the same title, co-published by the Museum of the City of New York and Columbia University Press. Dr. Hilary Ballon, University Professor of Urban Studies & Architecture at the Robert F. Wagner Graduate School of Public Service at New York University, conceived of the exhibition, is its curator, and is the editor of the companion book. A related exhibition, on view concurrently at the Museum, will feature the results of a competition in which architects and planners were asked for submissions using the Manhattan street grid as a catalyst for thinking about the present and future of New York- this exhibition is co-sponsored by the Architectural League of New York. 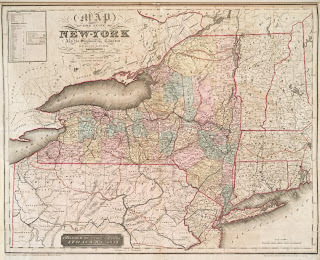 On Friday, May 6, 2011, the Great Lakes Seaway Trail Discovery Center in Sackets Harbor, NY, opens for the spring season with a special exhibit of New York’s Historic Military Maps from 1750 to 1820. At 6:30 pm that evening living history re-enactor Randy Patten will share his collection of historic maps, accouterments and artifacts from the French and Indian War. The presentation by the retired New York State Trooper will include a look at French and Indian War artifacts, a British broadsword from a man-of-war used in the War of 1812, and a lesson on historic musket safety. The exhibit of more than 50 historic maps will be on display Fridays, Saturdays and Sundays from 10am to 5 pm at the Great Lakes Seaway Trail Discovery Center through June 26, 2011. The Center is located at 401 W. Main Street. Day admission is $4. Evening program admission is $5. For more information on the Great Lakes Seaway Trail Discovery Center and the Great Lakes Seaway Trail National Scenic Byway, visit www.seawaytrail.com or call 315-646-1000. In honor of the 150th anniversary of the Civil War in 2011, National Oceanic and Atmospheric Administration (NOAA) has assembled a special historical collection of maps, charts, and documents prepared by the U.S. Coast Survey during the war years. The collection, “Charting a More Perfect Union,” contains over 400 documents, available free from NOAA’s Office of Coast Survey website. Coast Survey’s collection includes 394 Civil War-era maps, including nautical charts used for naval campaigns, and maps of troop movements and battlefields. Rarely seen publications include Notes on the Coast, prepared by Coast Survey to help Union forces plan naval blockades against the Confederacy, and the annual report summaries by Superintendent Bache as he detailed the trials and tribulations of producing the maps and charts needed to meet growing military demands. In the nation’s early years, the United States lost more ships to accidents than to war. In 1807, President Thomas Jefferson established the Survey of the Coast to produce the nautical charts necessary for maritime safety, defense and the establishment of national boundaries. By 1861, Coast Survey was the government’s leading scientific agency, charting coastlines and determining land elevations for the nation. Today, the Office of Coast Survey still meets its maritime responsibilities as a part of NOAA, surveying America’s coasts and producing the nation’s nautical charts. The Civil War special collection is accessible through a searchable online database. 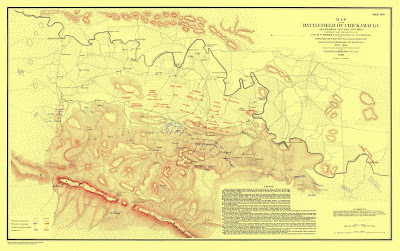 Illustration: Map of the Battlefield of Chickamauga. U.S. Coast Survey cartographers traveled with Union forces to produce battlefield maps during the Civil War. Courtesy NOAA. New York’s early frontier was America’s first &#8220Wild West&#8221 with Westward Expansion, blocked by two &#8220obstacles&#8221: Native Americans and Nature. Combining dramatic images and fresh research, Robert Spiegelman details this forgotten New York, where settler dreams encounter native lifeways during a free lecture on Thursday, June 24, 2010 at 7 pm at the Fort Montgomery Historic Site. Spiegelman will explore a &#8220magical crossroads&#8221 where immigrants change into nomad farmers, neighbors into rivals, colonists into fighters, soldiers into settlers, land speculators into &#8220second creators,&#8221 Indian Country into military tracts named for Roman conquerors, and untamed forests into real estate grids. Participants will revisit Syracuse and Buffalo’s emergence from the ashes of attempted Indian removal and controversial land treaties that have shaped today’s Empire State. 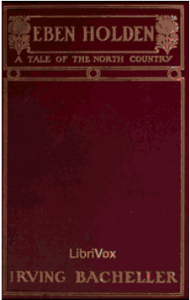 Then grasp Manhattan’s rise to prominence via the Erie Canal, which in turn, inflames a religious upheaval across Central New York that America calls &#8220The Burnt Over District.&#8221 The lecture will end with an appreciation of how &#8211 against all odds &#8211 indigenous New Yorkers retain a toehold in their deforested ancestral homelands. The Fort Montgomery Visitor Center is located at 690 Route 9W,1/4 mile north of the Bear Mountain Traffic Circle in Fort Montgomery, Orange County, NY 10922. For more information call (845) 446-2134.